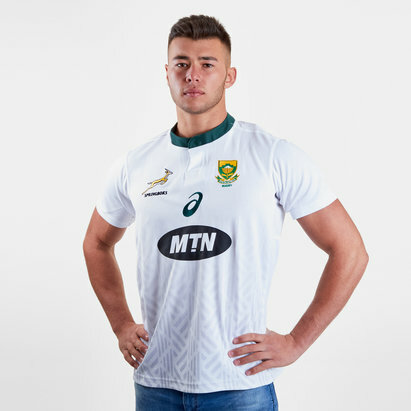 As one of only three teams to have ever been ranked number one in the world show your support for the Springboks in this South Africa 18/19 Home Supporters S/S Rugby Shirt from Asics. 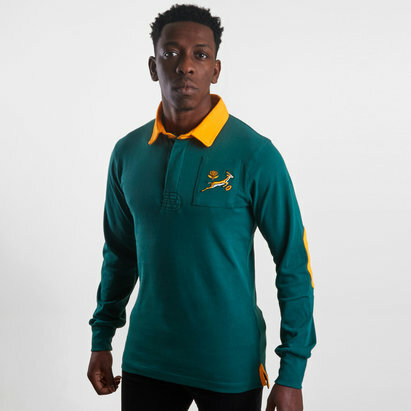 This 2018 rugby shirt is more forward thinking than the Boks one from last year whilst still being clean and classic. 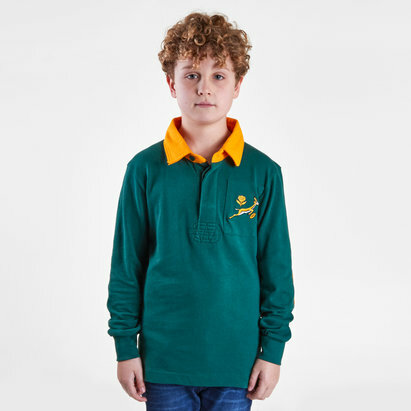 The shirt is the classic dark green colour with gold detailing. Asics have brought back the stub collar rather than a fold over one. 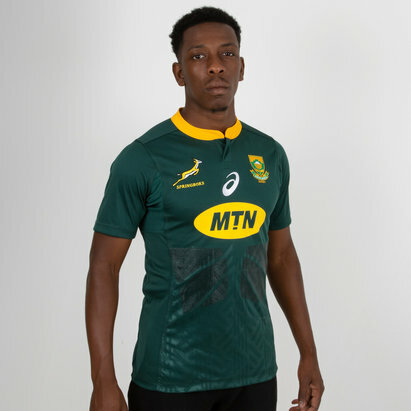 The bottom third of the jersey front has a series of tonal geometric patterns that come to a near point just below the sponsor logo designed to represent the triangle- and diamond-heavy patterns often seen in Zulu art. 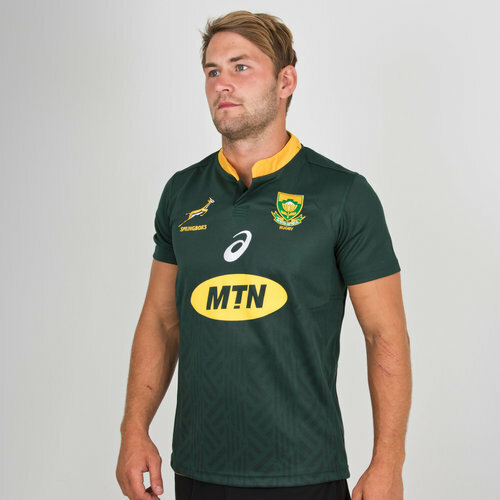 The two emblems of South Africa - the Springbok and the King Protea - can be seen pride of place on the right and left of the shirt respectively. 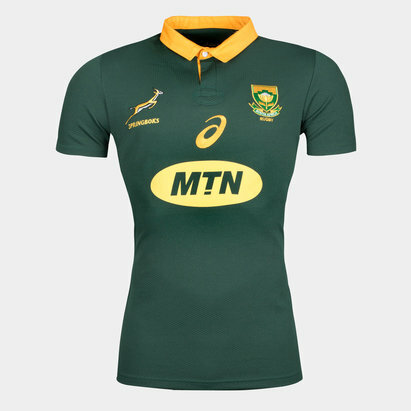 The team's sponsor, MTN, can be seen across the middle in gold too.